In today’s world, we have more choices for food than ever before. Most Americans eat better & more complex meals than kings & queens have just a few centuries before us. We can eat food that has come from all over the world or from our own backyards with a split-second choice. The meat industry is no different. With options like grass-fed or traditional cuts, and local or international; our ability to pick & choose has never been greater. We can go with the powerhouses of the meat industry or we can try a cut from our local butchers. Price usually dictates where we shop, but now the power resides in the healthiest options. 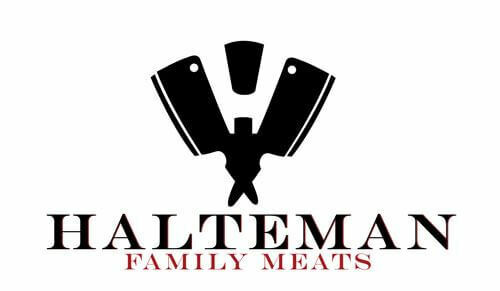 Here at Halteman, we focus on higher-quality meats. We focus on USDA Prime & USDA Choice for our beef, organically raised turkeys & chicken, and a higher-standard of pork products. The quality of USDA Prime speaks for itself. It accounts for less than 4% of all meat on the open market & there is a reason that many choose Prime when possible at your local butcher. Our main focus at Halteman is quality. We only select the highest quality cuts of USDA Prime & Choice. From time to time you will even see Kobe beef at our stand. Other than the Kobe beef, our products come from local or nearby farms that offer us the best in what they have. Our focus will always remain on the quality of our products, and we will never skip corners to bring something to our customers that we wouldn’t enjoy ourselves. Trust us, we’re picky with what we eat. You should be too.